1976: Supervisor Baxter Ward, Chairman of the Los Angeles County Board of Supervisors, presents to the Southern California Rapid Transit District Board of Directors the Sunset Coast Line proposal for a countywide rail rapid transit system. The system (map), consisting of 89 miles of aerial structure and 94 miles of at-grade structure within freeway rights-of-way, would provide heavy rail transit to 43 cities in the County south of the San Gabriel Mountains. It also includes special projects in the Wilshire – La Brea corridor and a downtown Central Business District distribution system, and accommodates bicycles and surfboards on rail cars. 1991: Groundbreaking ceremony is held for the Norwalk-El Segundo Metro Green Line. Distinguished guests included the newly-appointed California Secretary of Business, Transportation and Housing Carl D. Covitz; Congressman Glenn Anderson; Los Angeles County Supervisors Deane Dana and Kenneth Hahn; Long Beach City Councilman and LACTC Chair Ray Grabinski; Los Angeles City Council Member Ruth Galanter and others. 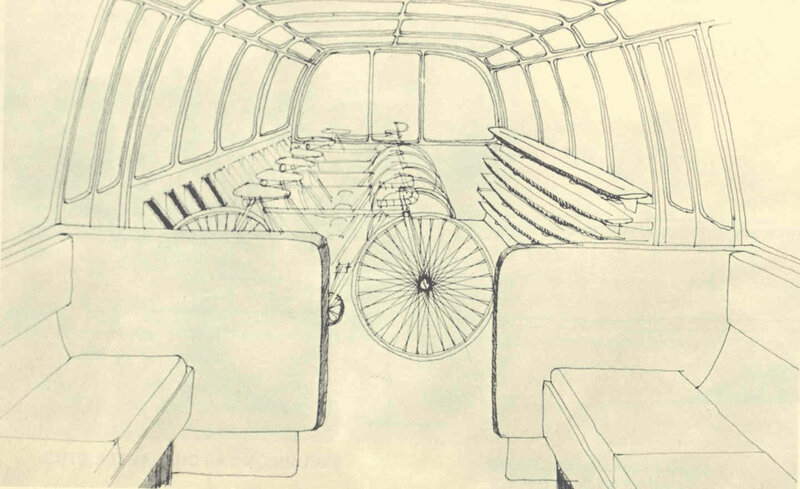 The original Green Line plans called for the first fully-automated rail rapid transit line in the United States. 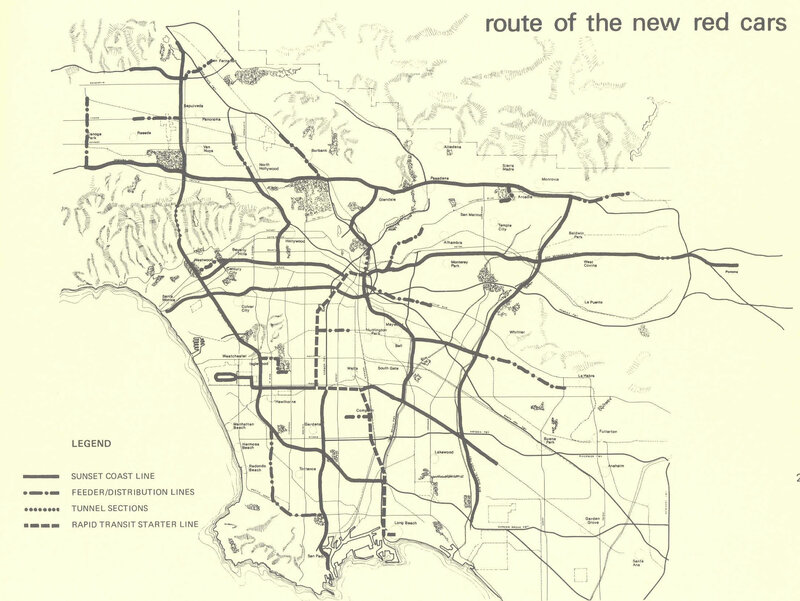 The project was scaled back, as legal issues involving the Century Freeway resulted in a 1979 federal consent decree allowed transportation officials to move forward with the Green Line with a proviso for more affordable housing near the freeway. The question of why the western terminus of the Metro Green line was not originally planned to go into Los Angeles International Airport can be found in this Primary Resources Blog post.